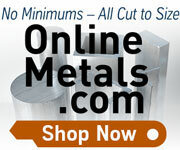 LittleMachineShop.com offers replacement parts for many bench top lathes and mills. We have virtually every part for the mini lathe, mini mill, and micro mill. Choose your dealer and model below to see all the parts for your machine. Choose your machine (or a similar machine) from the list. Here is a list of the machines for which we have parts diagrams.